Paula Wessells: Happy Birthday Kirk! Happy Birthday to my hubby!!! 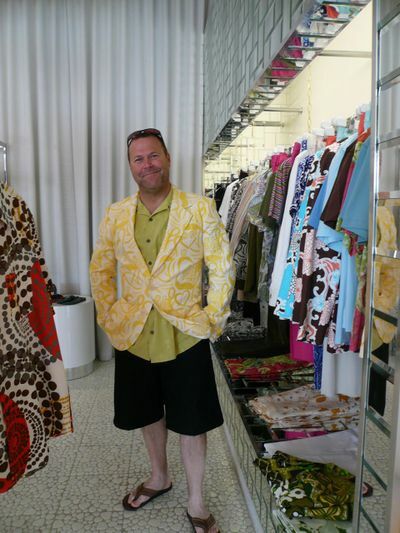 This picture was from the Trina Turk store in Palm Springs...the shirt and shorts are his. Contrary to what you might be thinking,he didn't buy the jacket.